Keeping accurate accounts is a legal responsibility for any business. Limited companies must adhere to strict rules regarding accountancy and book-keeping, and these may require auditing. Even sole traders must keep records of their business expenses and income, to be submitted in addition to their annual self assessment. In the past, accounts were kept using paper ledgers, and this practice continues in some very small businesses. However, this is a time-consuming process and prone to error; it is all too easy for one incorrect calculation to go unnoticed, resulting in an incorrect declaration at the end of the tax year. Choosing accountancy software that suits your business is an effective way of keeping mistakes to a minimum, while saving time and money. 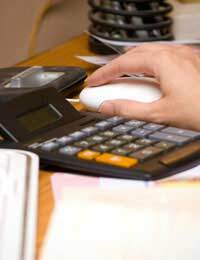 Many businesses choose to employ an accountant and book-keeper. However, doing your own books has a number of advantages. In the first instance, it can save a considerable amount of money in accountants’ fees. Furthermore, businesses that keep their own books tend to have a better grasp of the financial workings of their organisation. If you have visual evidence of money in and money out, you are more likely to be able to identify the strengths and weaknesses of your business model, and judge how effectively you are keeping to your business plan. There are a huge number of accountancy software options available, and the number grows every day. Many of the best publicised of these are geared towards large corporations, or designed specifically for trained accountants doing accounts and book-keeping on a company’s behalf. The amount of accountancy software available for small businesses and self employed individuals is smaller, and it can be difficult to find a package that performs the functions that you need without swamping you with unnecessary additional features. In the first instance, however, you need to make sure that you are looking at accountancy software that fulfils your statutory requirements. If, for example, you are VAT registered, you should ensure that your package is able to calculate your VAT return for you. If you are not sure what the statutory requirements for your accounts are, it is vital that you seek advice from an accountant. If your business is a limited company or Limited Liability Partnership, you are likely to need a more sophisticated package. Similarly, only certain accountancy software includes payroll support; if you are going to be employing anyone, you will need a package that can generate payslips and make employee tax calculations automatically. On the other hand, if you are a sole trader, you may find that a simple personal accounts package will suffice, as you will not need payroll support. It should be noted that accountancy software is of use before your company has even started trading. If you are drawing up a business plan, you will need to make sales and profit forecasts. Accountancy software can help you to do this, even if it means calculating a set of fictional accounts. Again, an accountant will be able to advise you on the relevant requirements. Similarly, the process of drawing up a business plan is covered in more detail elsewhere on this site.